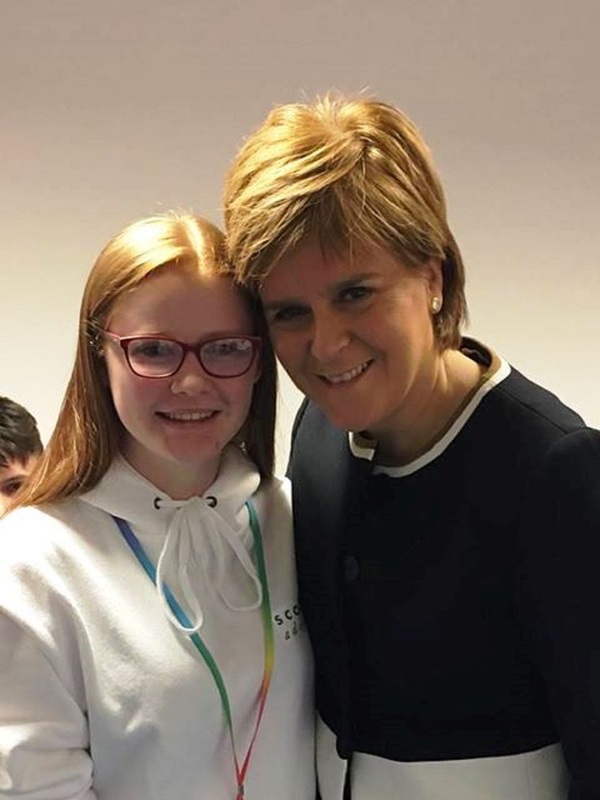 Rebecca, Class 11, met the First Minister Nicola Sturgeon at the the ‘Adopted Voices’ conference on Monday, which was held as part of the national initiative Year Of Young People and to mark Adoption Week Scotland (19th – 24th November). Rebecca ran a workshop,and presented to the full conference audience, which was mostly composed of carers, social workers and policy makers. In an education Q&A she said she felt Edinburgh Steiner School had been really good for her. As part of her workshop which explored the process of moving from foster care to adoption, Rebecca used techniques from Art Therapy to explore the idea of safe spaces.